The Streets of Old Lambeth: Brixton - From Countryside to "Inner City"
A visitor to London, exploring the Borough of Lambeth, and having arrived at Vauxhall Bridge, can turn southward, and cross the roundabout to Vauxhall Underground Station. From here, on the Victoria Line, it is just two stops to our penultimate port-of-call within the borough, Brixton. 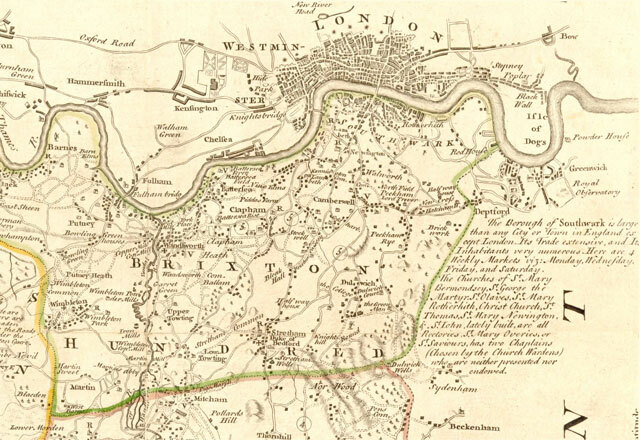 In the Eighteenth Century, Brixton was open countryside, producing food for the London markets, and known, especially, for its strawberries. 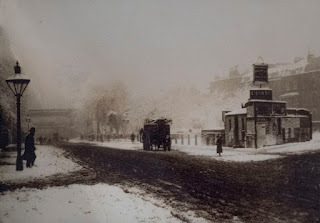 There is even a windmill, close to the station, built in 1816, at just the time that the whole character of the district was set to change, prompted by the construction of Vauxhall Bridge, which opened the area up to commuters. 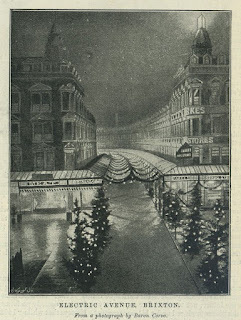 The houses built by developed along Brixton Road and Brixton Hill, and on the roads leading off from them, attracted wealthy residents: Whitehall civil servants; proprietors of West End shops; City solicitors and architects. 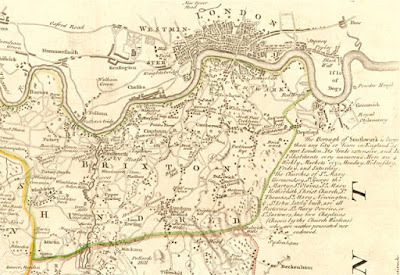 The Brixton "Hundred" in 1760, by Eman Bowen (image is in the Public Domain). 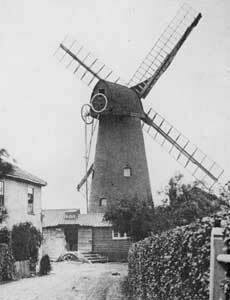 Ashby's Mill, Brixton, in 1864 (it was built in 1816) - image is in the Public Domain. Sheep grazing on Rush Common, 1892, close to the site of the Tate Library (image is in the Public Domain). Brixton Road from Acre Lane, 1883. 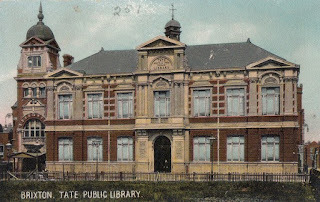 Photo: Lambeth Archives (image is in the Public Domain). 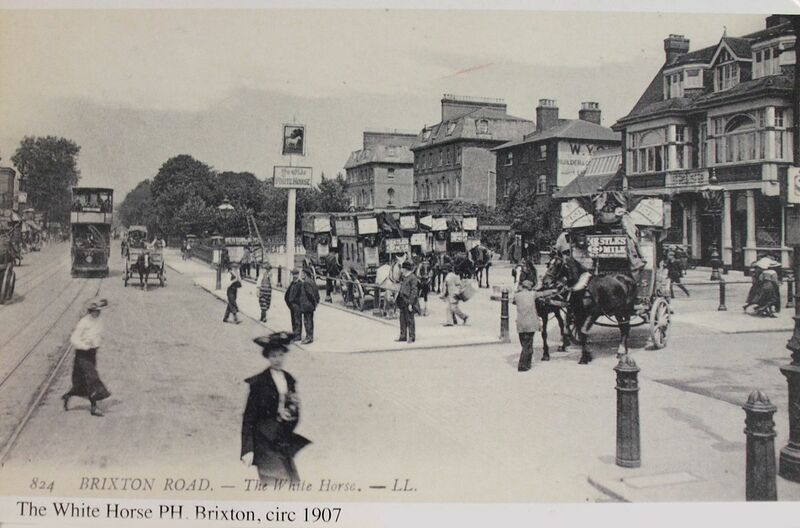 Brixton Road, 1907 (image is in the Public Domain). The arrival of the Chatham, London, and Dover Railway in the second half of the Nineteenth Century provided a further boost to the burgeoning suburbs: in 1880, Brixton's Electric Avenue became the first street in London to be lit by electricity; and residents soon had the benefits of a public library (courtesy of the sugar magnate and philanthropist, Sir Henry Tate); and one of the first purpose-built cinemas in England (then the Electric Pavilion, now the Ritzy). 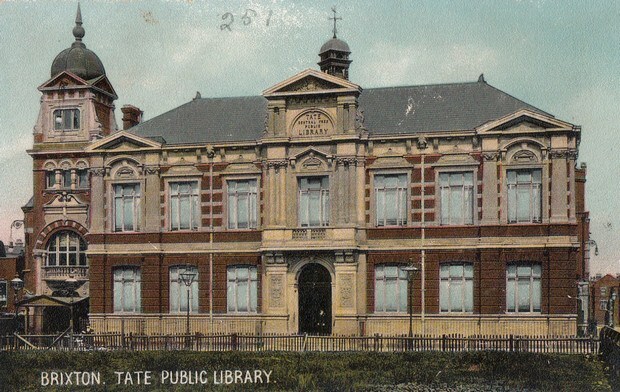 Tate Library, Brixton (image is in the Public Domain). The arrival of the Prince of Wales (later Edward VII) to open Brixton's Tate Library, 1893 (image is in the Public Domain). 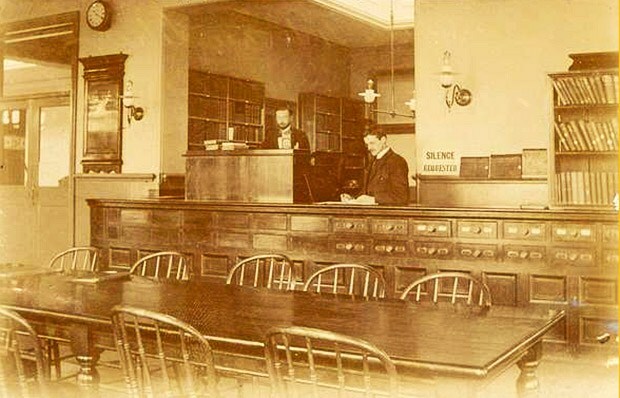 The upper reading room of the Tate Library (image is in the Public Domain). Charles Booth's (1889) "Poverty Map" of Brixton, but there is little poverty here: Yellow indicates "upper middle class;" red "lower middle class;" and pink "fairly comfortable, good, ordinary earnings." Image is in the Public Domain. The Ritzy Cinema, Brixton. Photo: C. Ford (licensed under CCA). By the early years of the Twentieth Century, however, wealthier residents were moving further out from the centre of London, into leafier suburbs. 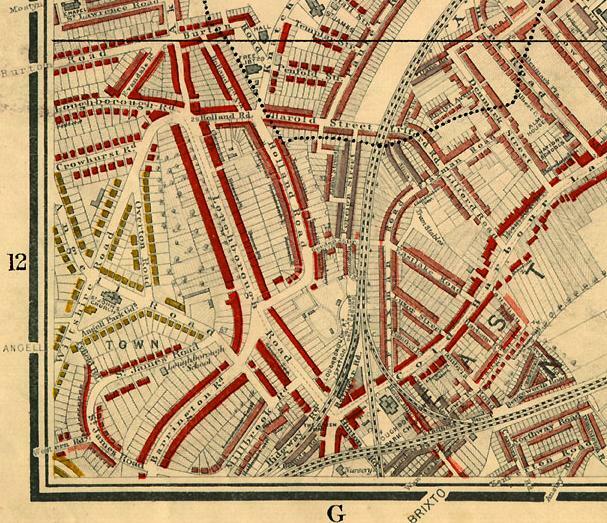 Many of Brixton's grand houses were subdivided into flats, and some fell into disrepair. 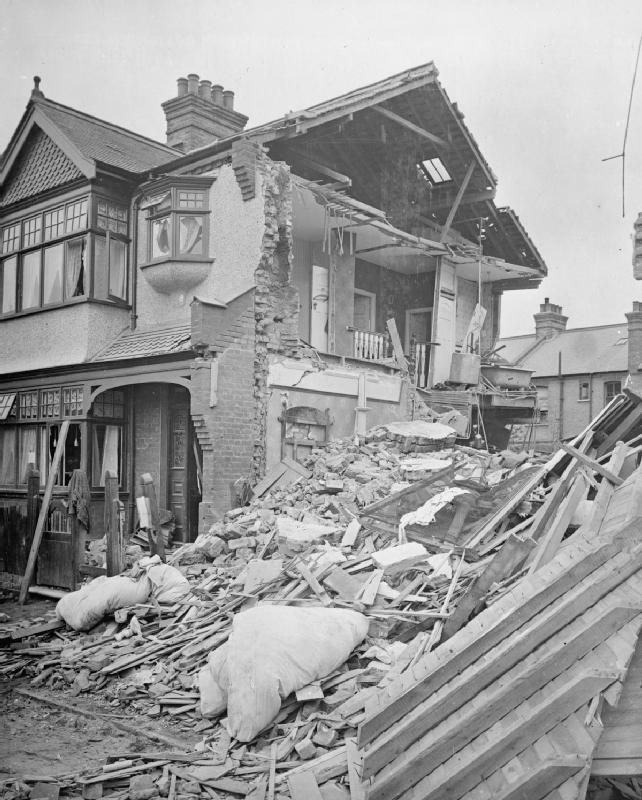 Others suffered bomb damage in both World Wars. 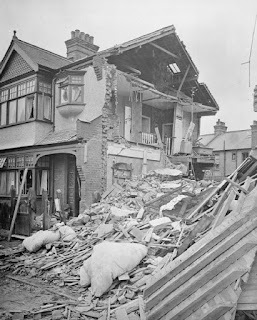 Bomb damage in Brixton, following a raid by German airships, September 1916. Photo: Imperial War Museum H098 (image is in the Public Domain). In the aftermath of the Second World War, a new wave of immigrants arrived in Britain from the Commonwealth territories of the Caribbean. 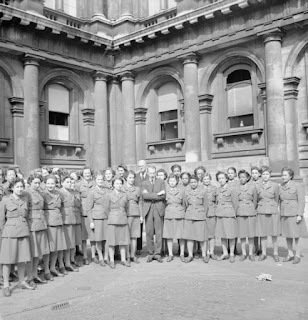 Many had fought on the British side in the war, but they now returned to fill an acute labour shortage in the British Isles. 492 of these people arrived in London on the steamship, the Empire Windrush, in June 1948. 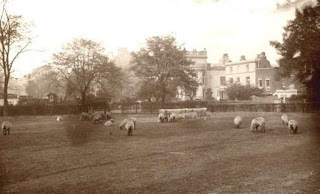 They were initially accommodated in the Clapham South Deep Shelter (which had served as a bomb shelter during the Blitz), and, since the closest labour exchange was in Brixton's Coldharbour Lane, and cheap rental properties were available nearby, many settled in Brixton, finding work in the National Health Service, and in London's transport infrastructure. 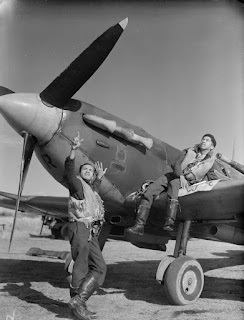 West Indian airmen in the Second World War. Photo: Imperial War Museum (non-commercial license) CH11478. A reception at the Colonial Office for West Indian women of the ATS, hosted by the Duke of Devonshire (foreground, centre). Photo: Imperial War Museum (non-commercial license) D21361. 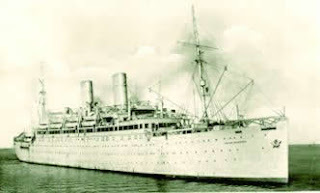 The Empire Windrush. Photo: Michael Griffin (image is in the Public Domain). 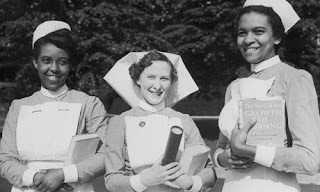 In fact, the Windrush was only ever a symbol (albeit a powerful one) for a wider social and cultural phenomenon. Its arrival did not mark the beginning of Caribbean immigration to the British Isles (around 15,000 West Indians had worked in Britain's munitions factories during the First World War), and many more immigrants arrived, over the coming years, on subsequent crossings, or by air. Many were shocked by the racism that they encountered in England, with politicians, such as Enoch Powell, and, later, neo-Fascist organisations such as the National Front and British National Party, whipping up fear and hatred of anyone who was not white. Nurses in London, 1954 (image is in the Public Domain). 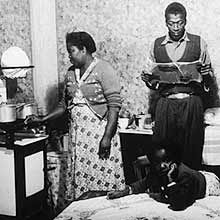 A West Indian family in Brixton, 1950s (image is in the Public Domain). 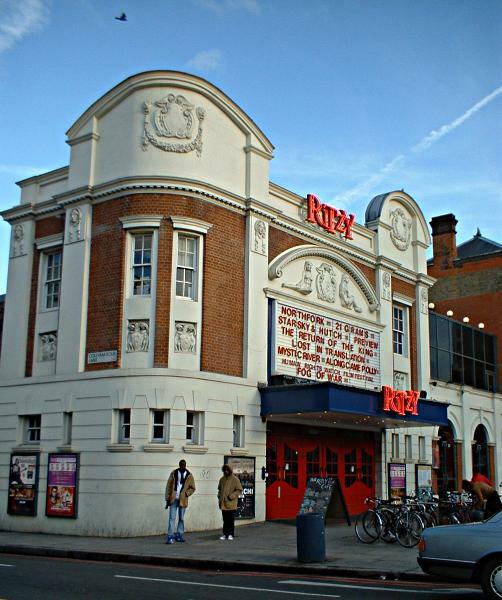 Over the course of the 1970s, Brixton became increasingly impoverished. 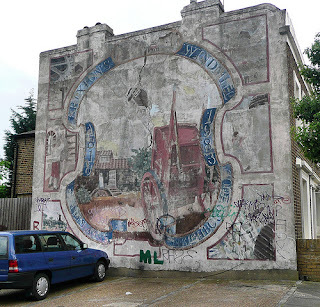 The term "inner city" (which never referred, as one might expect, to the Cities of London or Westminster, but rather to the run-down residential suburbs, with high immigrant populations) became associated with urban decay, poor housing, and high unemployment and crime. 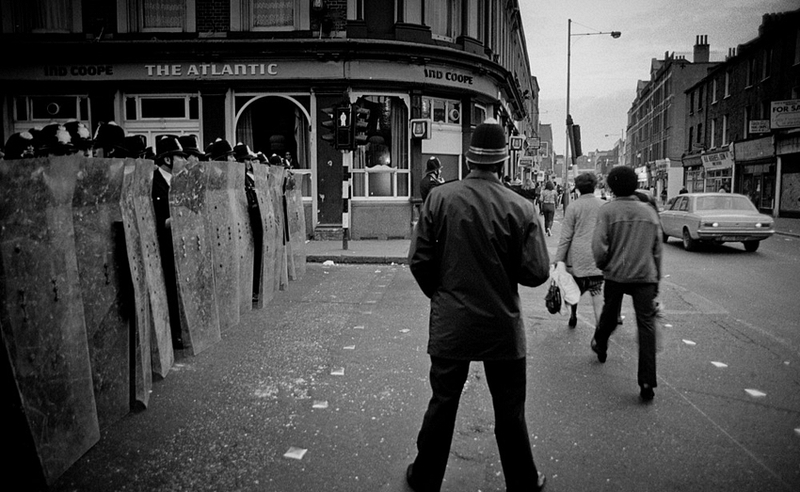 All of these factors contributed to the riots that broke out in Brixton in April, 1981, but the spark was ignited by "Operation Swamp," a Police initiative to crack down on street crime, making extensive use of the "Sus Law," allowing them to stop and search people at will. This law was applied in a blatantly discriminatory way, with the public humiliation of young black people by a Police force that was overwhelmingly white. 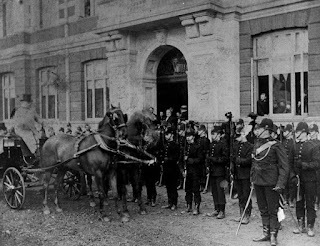 Over the course of a number of days, several hundred people were injured; more than 150 buildings damaged; and 100 vehicles burned. 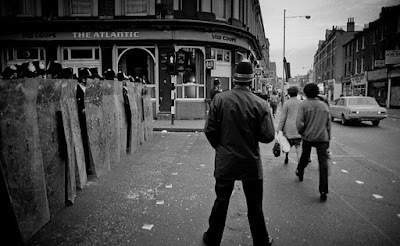 Th 1981 Brixton riots. Photo: Kim Aldis (licensed under CCA). 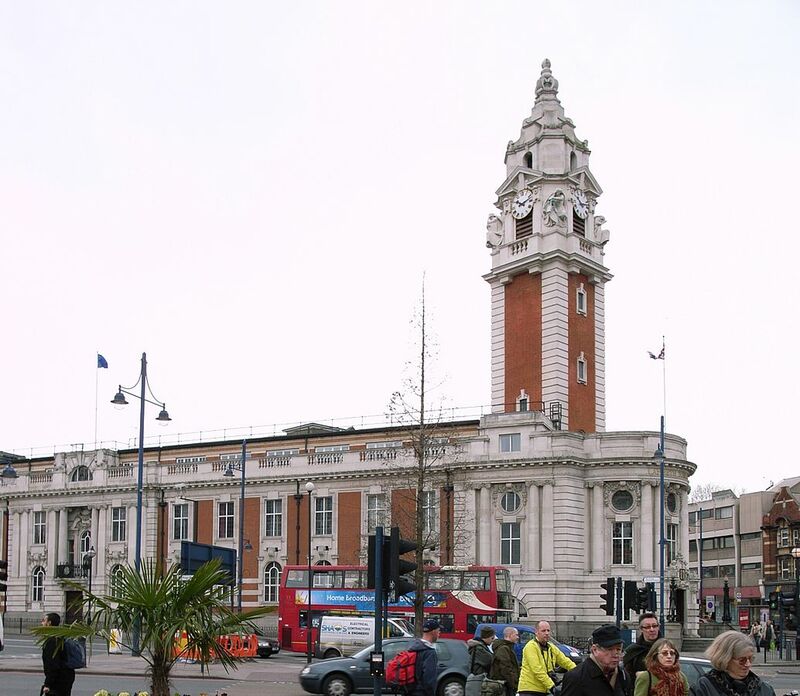 In the decades that have followed, Brixton has been extensively regenerated, and efforts made to heal the wounds. The reform of the Metropolitan Police happened more slowly than many would have wished, but it is now a very different organisation to that whose officers struggled to force their way along Brixton High Street in 1981. Black and Caribbean culture are celebrated in Brixton, yet the shadow of racism has not altogether been swept away. The British Home Secretary was recently forced to resign, over a scandal in which Caribbean immigrants of the "Windrush Generation" were denied access to essential services, and, in some cases, threatened with deportation, because they found themselves unable to prove their right to remain in a country in which most of them have worked and paid taxes for the whole of their adult lives. 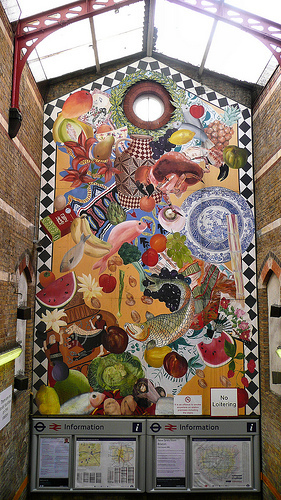 Mural, celebrating Brixton's rural past, by artists Mick Harrion and C. Thorp. Photo: Leticia Golubov (lemanja75, licensed under CCA). 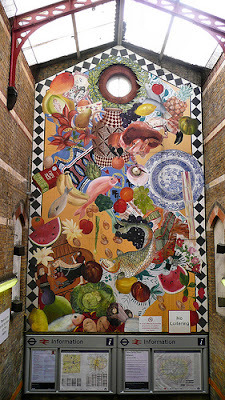 Mural at Brixton Station, by artists Karen Smith and Angie Biltcliffe. Photo: Leticia Golubov (lemanja 75), licensed under CCA. Lambeth Town Hall, Brixton, opened 1908. Photo: Steve Cadman (licensed under CCA). Windrush Square, Brixton. Photo: Felix-felix (image is in the Public Domain).